I have a custom quad-x setup. It's setup with a Naze32 acro, Futaba R3008SB RX and Futaba 10J TX. 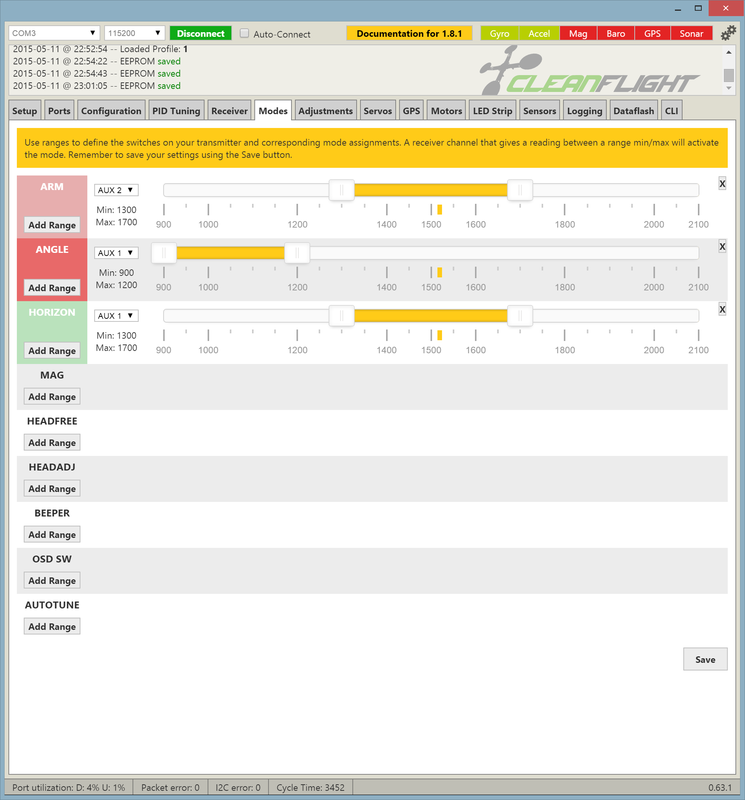 My Naze32 is flashed with the latest stable version of Cleanflight (v1.8.1). So far I haven't successfully been able to arm my quad. I have tried increasing the end points on my TX with no luck and have tried reflasing the firmware with older versions and reverting back. Next I'm thinking of giving SBUS a go using an inverter. Below are the ranges of my AUX2 line which is assigned to a 3-way switch. As you can see the Horizon mode lights up green and so does the Angle but the Arm doesn't. Have you tried arming with the throttle low-right instead of using a switch? I assume all of the RC imputs are responding correctly? 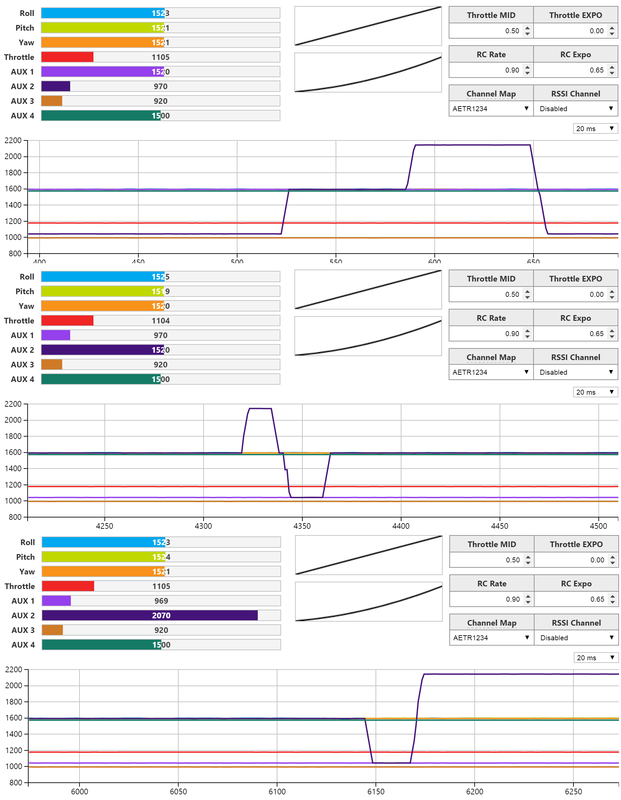 Try doing an accelerometer calibration as well as a gyro calibration first and then try arming again. You need to extend the end points on your throttle so it goes down to 1000 and up to 2000 (in your futaba). 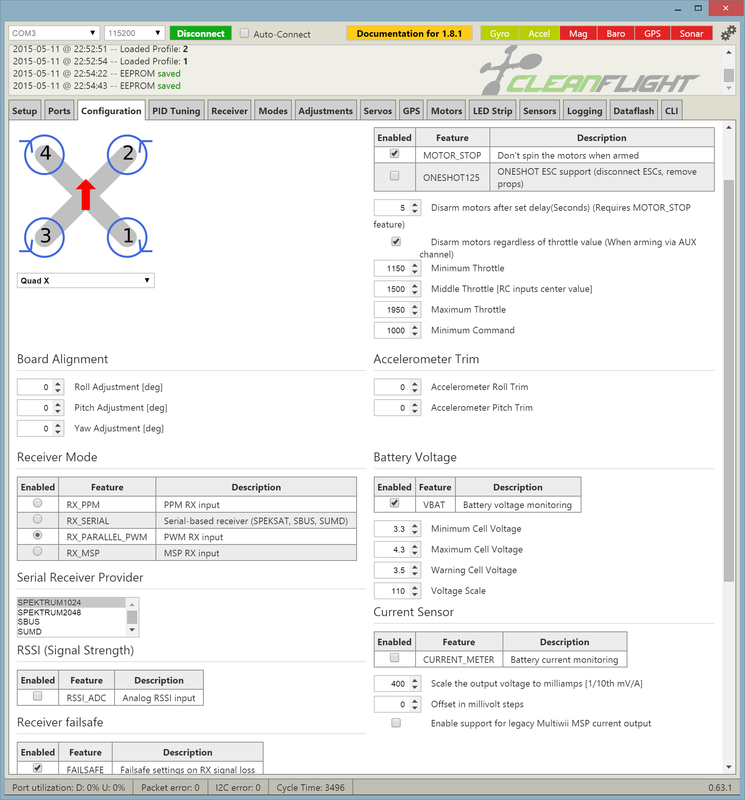 Cleanflight won't arm unless it sees the throttle down below 1050 (even with arm on a switch). You'll want to also extend the ranges on roll/pitch/yaw as well so you get full range of movement and resolution. Exactly what narcolepticltd says... your low throttle value is too high... Might simply be that your throttle trim switch isn't neutral... or try lowering it -- but make sure it can still reach 2000. This was the exact issue. Legend. Thank you all very much for your help it's much appreciated, it's nice to be able to go out and fly my first DIY multirotor.